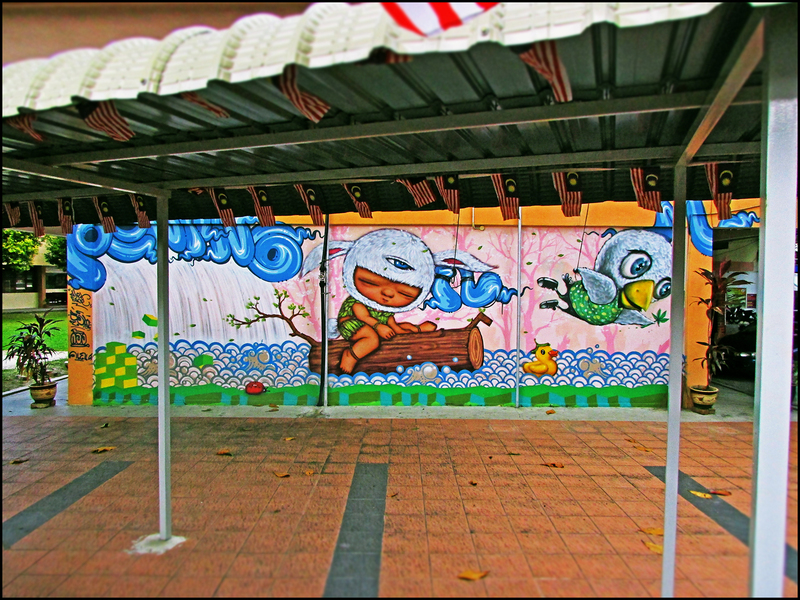 A collaborative art mural painted on the wall of Sekolah Kebangsaan Tan Sri P. Ramlee, a primary school located at Brick Kiln Road, George Town. 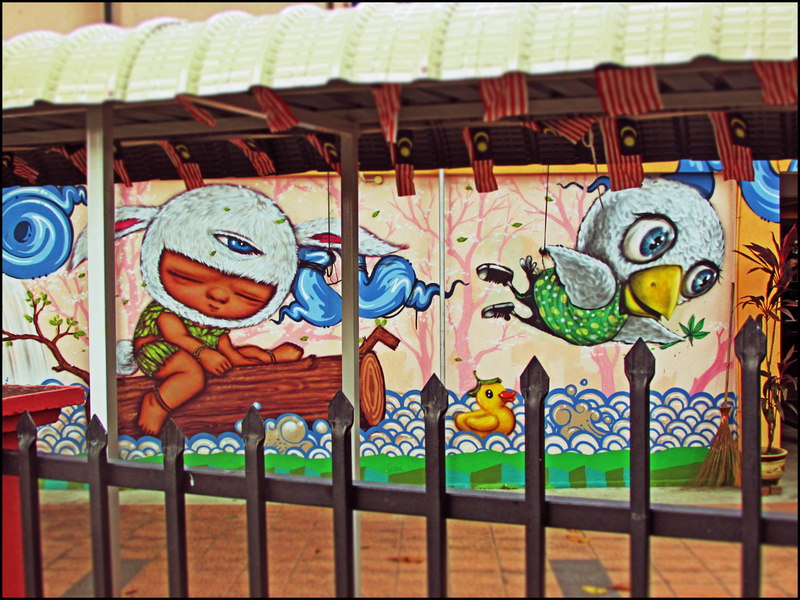 This art work is painted by several artists during the Different Strokes Street Art festival in 2015. The school is also located next to the Hin Bus Depot.